As a professional pet sitting and dog walking company, it still surprises me how many folks are unaware of the unparalleled benefits an in-your-home, professional pet sitter can provide over kennels, doggie daycares or pet boarding facilities. Even your veterinarian will be the first one to tell you that in-home, professional pet care is Top Shelf – hands down. Simply put, there is a reason that pet sitting as a small business venture is outpacing the growth of boarding facilities at a rate of over five to one. However professional, however safe, however, free of parasites and bacteria a boarding facility may be, a kennel is just not home. Let’s face it, our pets are extremely important to us. They’re our loyal, loving companions, they give us hours of fun, activity and entertainment, they’re an integral part of our daily lives, and they rely on us to take good care of them. Is it any wonder that the thought of leaving our friends in a kennel is so distasteful? Not surprisingly, the unnatural environment inherent in boarding facilities poses a significant risk to your dog. It’s a well-known fact: having lots of dogs with differing backgrounds, health issues and behavioral dispositions, all in close proximity to each other, increases your dog’s risk of suffering medical illness, physical injury, and emotional distress. Are the kennels cleaned daily? What type of cleaning solutions are used? Is food and water safe from rodents and bugs? Is the kennel temperature controlled? Is the water cool and changed frequently? You’re sure of your home environment; can you ever be sure of a kennel’s? They get along well with all dogs. The kennel is staffed high enough. The kennel staff is actively attentive. The kennel staff knows the individual disposition of all the dogs. Given the absence of any of the above considerations, this “play time” could be a perfect environment for your dog to suffer an injury. Like us, dogs are creatures of habit and routine. Familiar surroundings, sights, smells, sounds, jobs (guarding the home), activities, toys, beds and playmates provide our dogs with stability, comfort and happiness. 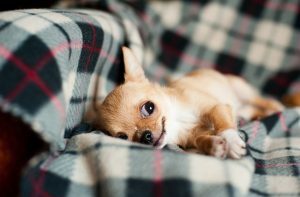 Many dogs, being used to their own homes and routines, find the presence and pressure of strange dogs, people, sights, sounds, smells and the like extremely stressful. Anxiety or fear-based aggression towards other dogs or staff members. Unfortunately, many dogs are not equipped to handle such a stressful environment. If your dog suffers in any of these ways, what guarantee do you have that the kennel will ever tell you what a difficult time your dog had? Will your dog’s special diet be met? Will your dog’s medical needs be met? Is there proper oversight and supervision of kennel staff? Is the kennel having any problems with its staff? Are there policies and practices in place? 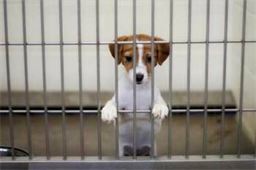 Are kennel areas within ready sight and hearing distance of staff? Is the exercise given adequate to your dog’s size and breed? How many hours is your dog confined to his or her kennel? How much individualized attention, affection, petting, playing is given to your dog? Does the facility call, text, e-mail and communicate with you on a regular basis? This isn’t to say that there are not excellent boarding facilities available and that your dog may even enjoy their time away from home. However, given that boarding is so problematic in general, you, like many others, may consider professional pet sitting the best option when caring for your dog. With all of the potential hazards of boarding facilities, it’s no wonder people prefer using a professional pet sitting company to ensure the care and well-being of family pets. No neighbor kid, no snoopy colleagues, no imposing on family or friends who’ll try and find time, no Craigslist Hoodlums, just professional pet sitters whose entire career is dedicated to the well-being of your pets!. Pet has their familiar, comfortable home environment. 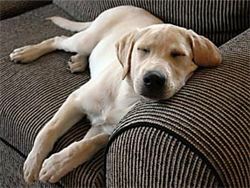 Pet suffers no significant changes in their habits or routines. Pet has no increased risk of medical illness. Pet has clean, sanitary environment. Pet has no increased risk of physical injury. Pet has no increased risk of severe emotional distress. Pet suffers no changes to diet. Pet is surrounded by the comforting scents of his family member(s). Pet has familiar toys and bedding. Pet receives individualized attention, affection, exercise, love and playtime. You receive frequent communication from your pet sitter. Your house does not look empty or vulnerable to criminals. Your pet sitter is experienced, loves what they do, is bonded and insured, is accredited in Pet 1st Aid & CPR, is licensed by the Colorado Department of AG and is solely there to take care of your pet’s needs. Your pet sitter is a member of Pet Sitters International and as such avails themselves of educational materials, videos, seminars, and the combined expertise of hundreds of members across the U.S. and Canada. Leave the guilt that comes with kennels and pet boarding facilities and discover the amazing difference a professional pet sitter can make in your life and the lives of the pets you love! Professional pet sitting companies such as Poochy Doos, LLC have many amenities designed to provide loving, responsible care for your pets. Contact us today to learn more about our pet care services!